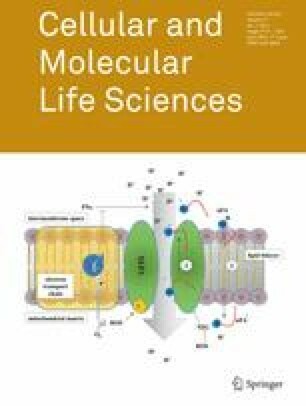 MMP23 is a member of the matrix metalloprotease family of zinc- and calcium-dependent endopeptidases, which are involved in a wide variety of cellular functions. Its catalytic domain displays a high degree of structural homology with those of other metalloproteases, but its atypical domain architecture suggests that it may possess unique functional properties. The N-terminal MMP23 pro-domain contains a type-II transmembrane domain that anchors the protein to the plasma membrane and lacks the cysteine-switch motif that is required to maintain other MMPs in a latent state during passage to the cell surface. Instead of the C-terminal hemopexin domain common to other MMPs, MMP23 contains a small toxin-like domain (TxD) and an immunoglobulin-like cell adhesion molecule (IgCAM) domain. The MMP23 pro-domain can trap Kv1.3 but not closely-related Kv1.2 channels in the endoplasmic reticulum, preventing their passage to the cell surface, while the TxD can bind to the channel pore and block the passage of potassium ions. The MMP23 C-terminal IgCAM domain displays some similarity to Ig-like C2-type domains found in IgCAMs of the immunoglobulin superfamily, which are known to mediate protein–protein and protein–lipid interactions. MMP23 and Kv1.3 are co-expressed in a variety of tissues and together are implicated in diseases including cancer and inflammatory disorders. Further studies are required to elucidate the mechanism of action of this unique member of the MMP family. The authors’ work described herein was supported in part by grants from the National Institutes of Health (NIH) NS48252 (K.G.C. ), and the Australian Research Council (DP1093909 to R.S.N., B.J.S., and K.G.C.). R.S.N. acknowledges fellowship support from the Australian National Health and Medical Research Council.